In 2012, I mapped the geographical evolution of Amsterdam’s trust offices. Since 2006, many had changed their name or moved to a different location, resulting in four major concentrations: Zuidoost, Prins Bernhardplein, Zuidas and Naritaweg. The other day I ran into a new map (pdf) of tax haven Amsterdam. Judging by this map, Amsterdam’s tax avoidance geography hasn’t changed much since 2012. The map was posted online by Action Aid on occasion of their AMSTERDAM TAX TOUR - THE BIKE EDITION. Sounds like fun and I would’ve have loved to cycle along, but unfortunately it coincides with a previous appointment. Incidentally, Wired did a global tax avoidance map, which also features Amsterdam. Google Maps are for transportation; Apple Maps are more of an advertising channel, I tweeted a while ago. That was based on a fascinating analysis by Justin O’Beirne, who found, among other things, that Google Maps show far more rail and underground stations, while Apple Maps show far more restaurants and shops. Whether you’re looking for a hotel in a hot spot or just trying to determine which way to go after exiting the subway in a new place, areas of interest will help you find what you’re looking for with just a couple swipes and a zoom. We determine areas of interest with an algorithmic process that allows us to highlight the areas with the highest concentration of restaurants, bars and shops. In high-density areas like NYC, we use a human touch to make sure we’re showing the most active areas. Assuming they haven’t sacrificed any stations, this suggests they have found a way to have their cake and eat it: remain useful for transportation purposes while adding marketing opportunities. However, CityMetric writer John Elledge is not impressed by Google’s algorithm to identify areas of interest. He argues that «an algorithm that thinks Trafalgar Square is less an area of interest than the restaurants across the road is not fit for purpose». As for Amsterdam, Google’s algorithm seems to be relatively good at identifying lively neighbourhoods, although they may have missed a few. On the other hand, the Museumplein, where the Rijksmuseum, Van Gogh Museum and Stedelijk are, isn’t marked as interesting, but then I’m sure tourists don’t need Google Maps to tell them to go there. 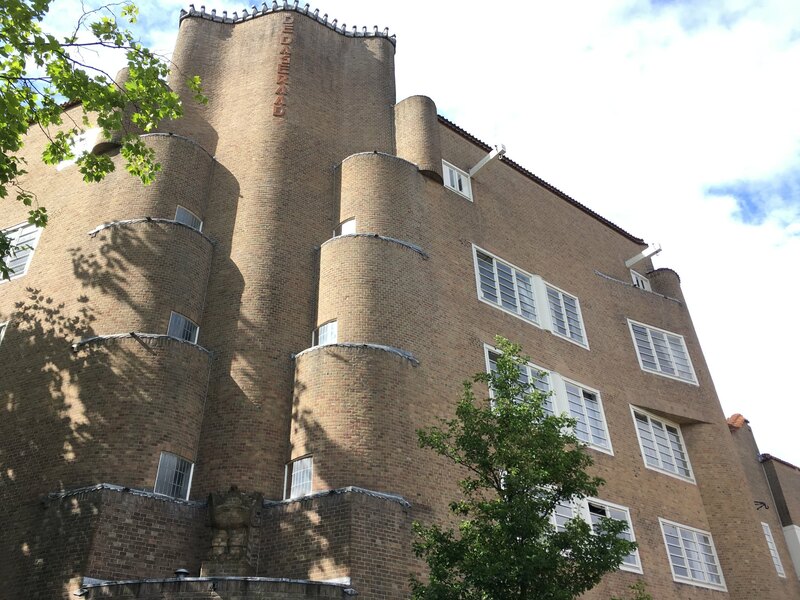 Some of the most spectacular examples of Amsterdam School architecture (around P.L. Takstraat, Zaanhof) are similarly overlooked. By contrast, rather dull shopping centres such as Oostpoort are marked as interesting. All in all, the correct designation for Google’s orangey areas would perhaps be commercial areas rather than areas of interest. Somebody at Mapbox wrote a blog post in which he makes the case that longitude should go first: almost all data formats (including Google’s KML) and all open source software (except Leaflet) use this order. Also, it’s the logical order if you include altitude (XYZ), he argues. Good rule of thumb: if you know what a tuple is and are programming, you should be using lon,lat. I would even say this applies if your end user (say a pilot or a ship captain) will prefer to view the output in lat,lon. You can switch the order in your UI if necessary, but the overwhelming majority of your data (shapefiles, geojson, etc.) will be in the normal Cartesian order. Another good rule of thumb: always check.